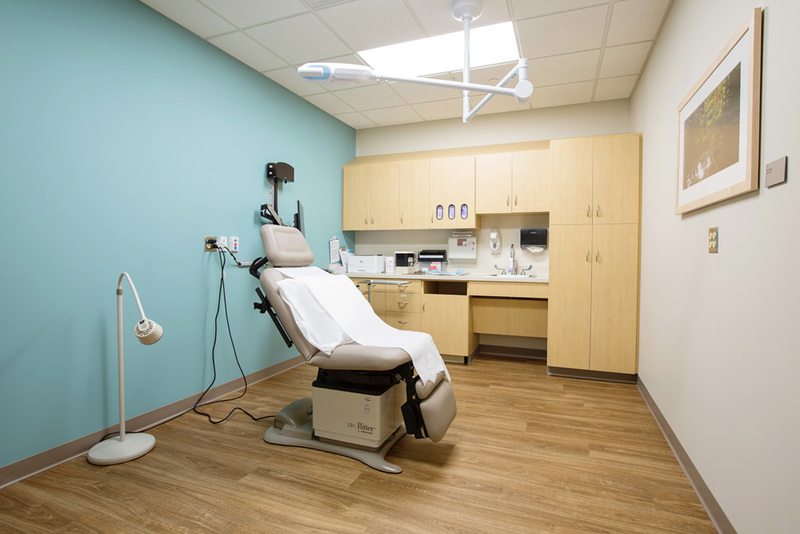 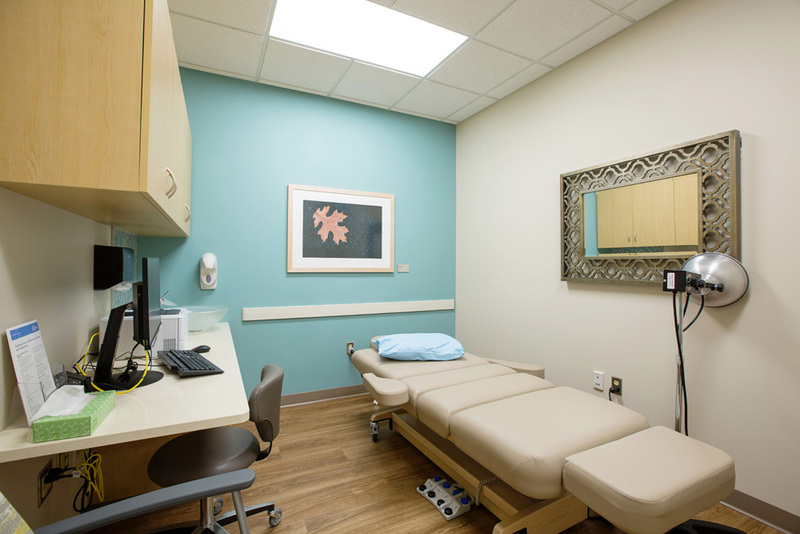 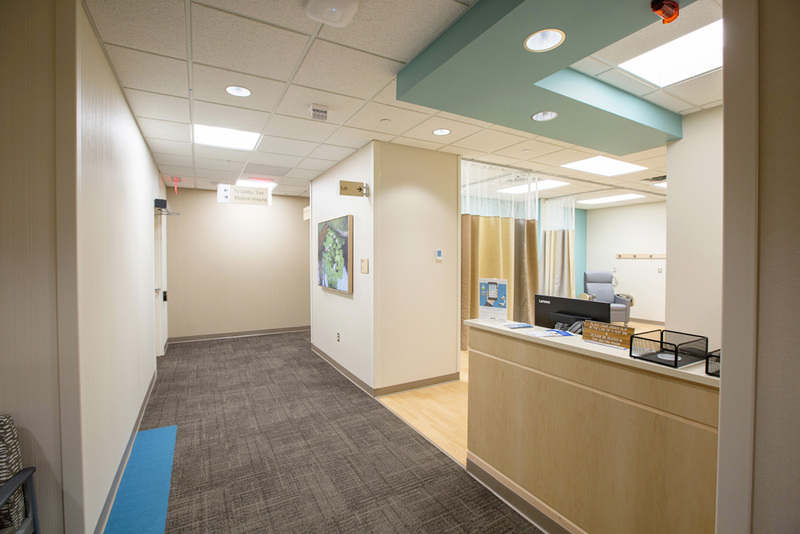 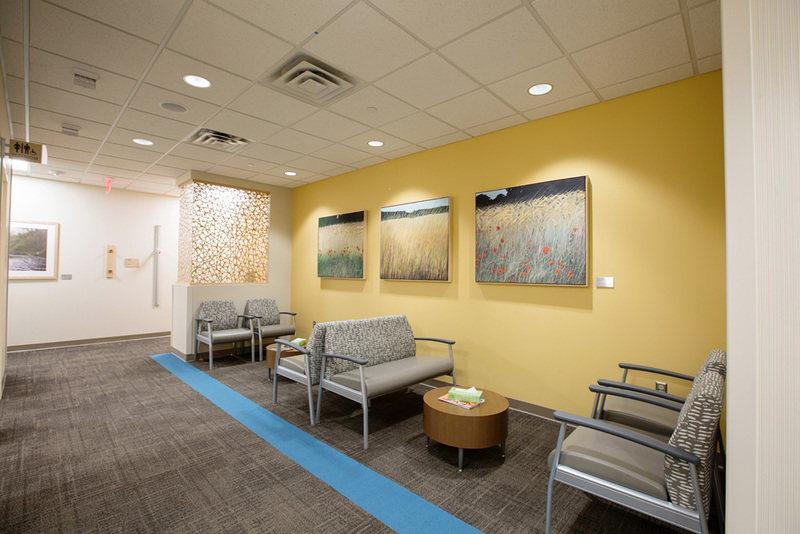 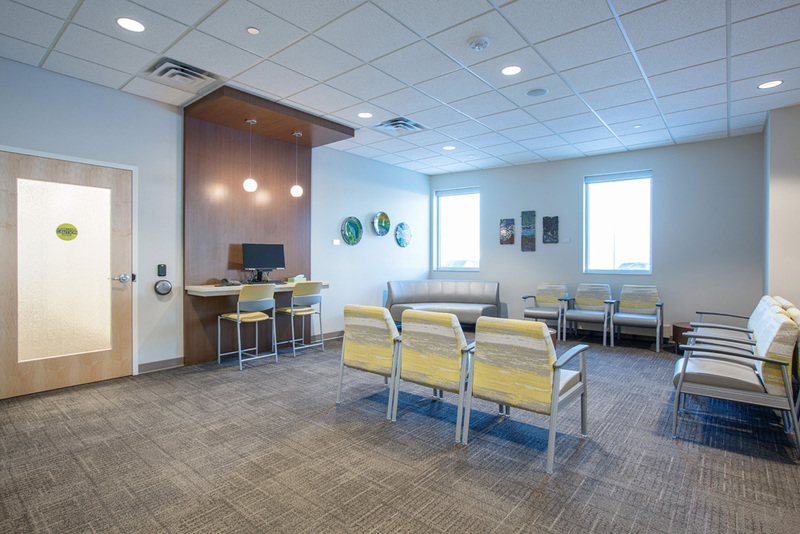 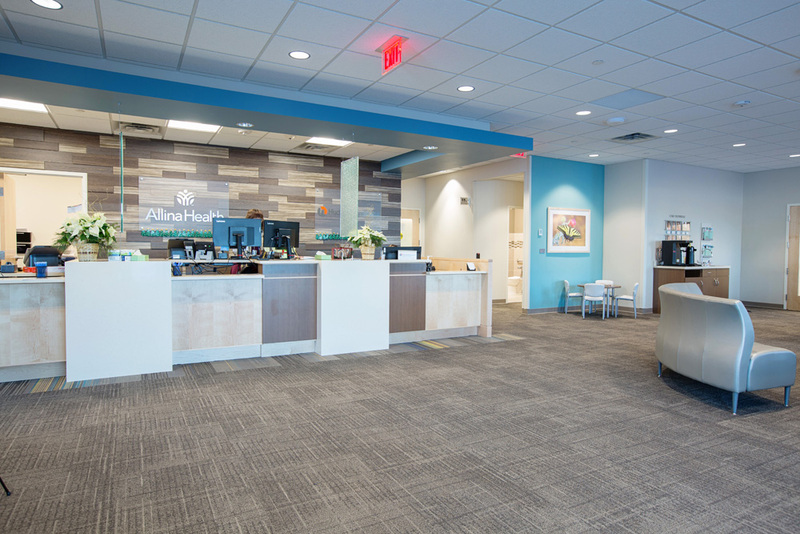 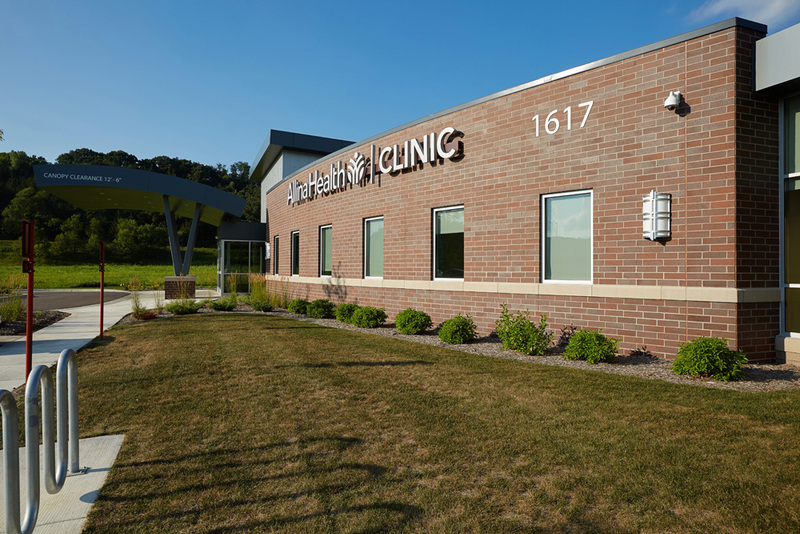 Connected by ‘The Link,’ an enclosed, one-hundred-foot, climate-controlled corridor, the Allina Health River Falls Clinic is the most recent addition to the River Falls Area Hospital Campus. 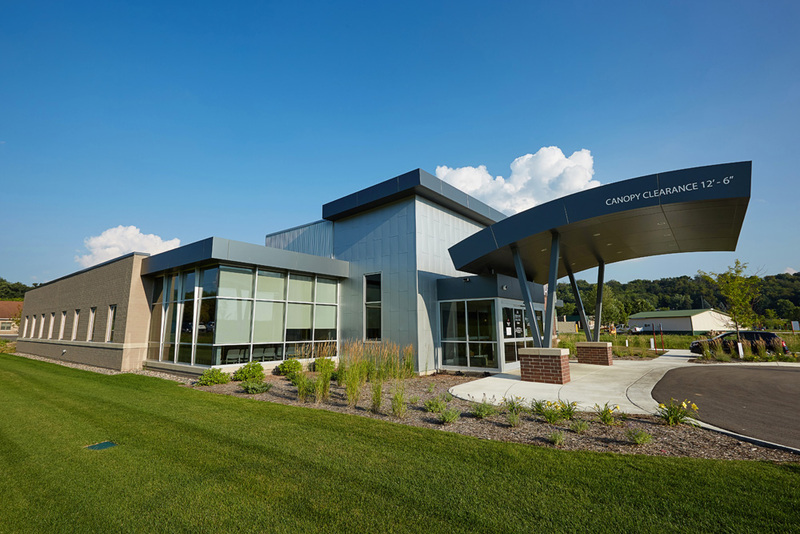 Facing west, toward WI Highway 35, corner window accents and a curved front façade add interest to this attractive single-story’s brick and architectural metal exterior. 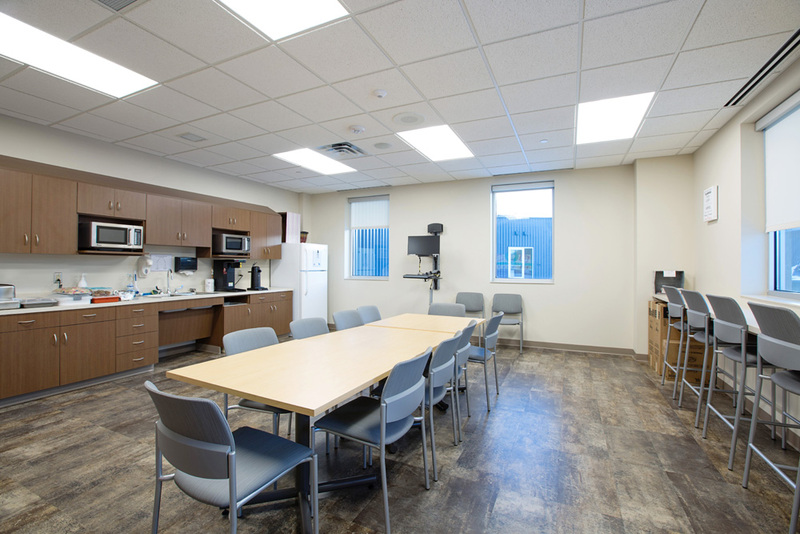 The medical facility was designed to allow for future expansion and built to accommodate an increased need for primary and specialty care within the rural region.